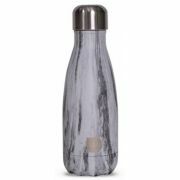 The VESI bottle is a stylish double-walled, vacuum insulated, stainless steel bottle that keeps your drinks cold for up to 24h and hot for up to 12h. 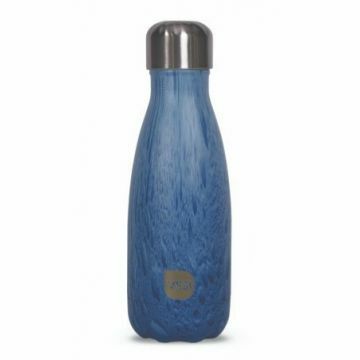 Each VESI bottle is unique in its pattern and comes with an air tight screw top that doesn't leak. The bottle opening is wide enough to fit an ice cube, but narrow enough for a comfortable drinking experience. The VESI bottle is lightweight and fits most cup holders. 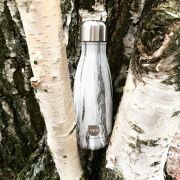 The VESI brand was conceived in Finland to help reduce the amount of plastic waste in nature, while providing a stylish and more ecological drinking experience for the modern consumer.